Kent Electric recognizes the importance of protecting the privacy of all information provided by users of Kent Electric Web sites. We believe that you should fully understand the types of information we obtain about visitors to our site, how the information is obtained, and how it is used. The following policies are in effect for all of the Web pages owned and operated by Kent Electric. The information Kent Electric obtains about individual visitors to our Web sites is information supplied voluntarily by the visitor. Our Web server automatically logs a visitor's domain name, IP address, browser type, the number of impressions and the number of bytes transferred from our server. This information does not reveal a visitor's identity. We aggregate this information and use it to evaluate and improve our Web site. We will not reveal any personal information that visitors provide to us to any third party without visitor permission. Upon request, Kent Electric will remove visitors (and their information) from our database or permit them to "opt-out" of any further contact. Kent Electric is not responsible for the content or the privacy policies of Web sites to which it may provide links. If you have any questions about this privacy statement, the practices of this site or your dealings with Kent Electric, please use our contact form. 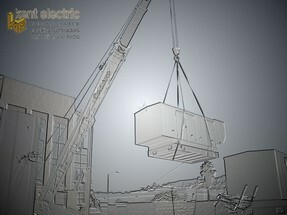 For a consultation, contact Kent Electric today. This Page Copyright © 2005 Kent Electric Inc. All Rights Reserved.